10 inch slick racing tire from PMT Tyres of Italy are the premium race tire for minimoto minigp and scooter racing. 90/85R10 true radial design in a soft racing compound for front and rear wheel installation. All the racing technology from our 12 inch series tires now available in a 10 inch slick to fit the smaller minis like CRF50 and DRZ70 as well as all 10 inch scooters. These bad boys work best with a rim width of 1.85 to 2.50, but can be used on 1.60 width rims as well. 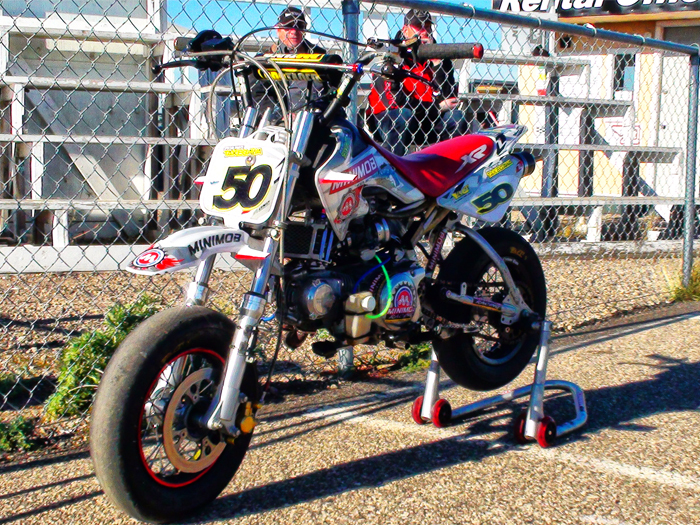 For CRF50s, you'll need to back those chain adjusters all the way back to fit the profile, or run a +1 or bigger swingarm.